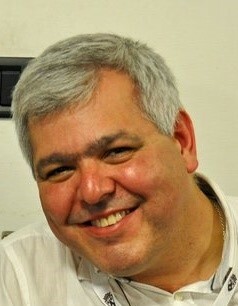 Lecturer in Mariology at Heythrop College, University of London, 2006 – present. Lecturer in Mariology, Ecclesiology and Church History, Pontifical Beda College, Rome, 2004 – 2015. Visiting Professor at St Mary’s University, Twickenham. “The Ignea Sagitta and the Second Council of Lyons” in The Carmelite Rule 1207-2007, ed. 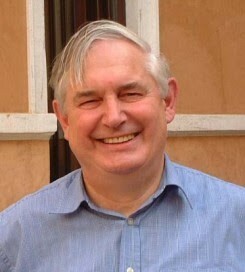 P. McMahon, Rome: Edizioni Carmelitane, 2008. “Thomas Netter on Contemplation in the Doctrinale” in Memoriam fecit mirabilia Dei: Scritti in onore di Emanuele Boaga O. Carm, ed. G. Grosso and W. Santin, Rome: Edizioni Carmelitane, 2009. “The Treatment of Mary in the Doctrinale of Thomas Nette ras a Resource for Contemporary Theology” in Thomas Netter of Walden: Carmelite, Diplomate and Theologian (c. 1372-1430), in Carmel in Britain. Studies on the Early History of the Carmelite Order, volume 4, ed. J. Bergström-Allen & R. Copsey. Faversham: St Albert’s Press, 2009. The Teaching and Impact of the Doctrinale of Thomas Netter of Walden. Turnhout: Brepols, 2010. 1997 – 2000 B.A. (Hons) English & Related Literature, University of York. Johan Bergström-Allen, (ed. ), Climbing the Mountain: An Introduction to Carmelite Spirituality (Faversham: Saint Albert’s Press & Rome: Edizioni Carmelitane, 2010). Johan Bergström-Allen and Richard Copsey, (eds. ), Thomas Netter of Walden: Carmelite, Diplomat and Theologian (c.1372-1430), Carmel in Britain 4 (Faversham: Saint Albert’s Press & Rome: Edizioni Carmelitane, 2009). H09: The History of Carmelite Devotions. DC18: John of St Samson. DC32: The Third / Secular Orders from 1900 (with Monica O’Neill OCDS and Heather Ward OCDS). 2018 Masters in Theology (Carmelite Studies) 1st Class Hons, CIBI; St. Patrick’s College, Maynooth University. Dissertation: Capturing the Beloved. 2015 Postgraduate Certificate in Carmelite Studies, CIBI; York St. John University. 2013 Diploma in Carmelite Studies, CIBI; The Milltown Institute of Theology & Philosophy, Dublin. 2009 Adult Education Diploma in Carmelite Studies, CIBI; The Milltown Institute of Theology & Philosophy, Dublin. 2006 Enrolled as student with CIBI. 2004 Profession as Third Order Carmelite: The Friars, Aylesford Priory, Kent. 1990 Certificate in Humanities in the Primary School: Christchurch College of Higher Education, Canterbury, Kent. 1963 Teachers Diploma: Whitelands Teacher Training College, Putney, London. 2018 Article for various Carmelite magazines: My Long Academic and Spiritual Journey with CIBI. 2018 Article for “Assumpta” magazine: Never Too Late! 2010 Article for “Assumpta” magazine: Faith Journey; The Beautiful Gate. 2003 Article for “Assumpta” magazine: Why I long to be a Carmelite. Bachelor of Divinity, The Milltown Institute of Philosophy and Theology, Dublin, 1999. Master of Divinity, The Milltown Institute of Philosophy and Theology, Dublin, 2000. Reflections on the Readings for Every Day of the Church’s Year. Dublin: Columba Press, 2011. DC22: The OCarm Charism from 1950. “Titus Brandsma, a Marian Life” in: Teresa, Rivista Enciklopedika ta’Spiritwalita, Zammit Malta 2011. Member of the editorial board of Carmel in the World. 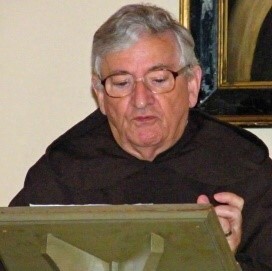 “Charism and Conflict: Jerome Gracián and the Order’s Self-Understanding”, Mount Carmel, October- December 2006, pp. 31-38. “Fr Jerome Gracian: A Heroic Follower of St Teresa”, Mount Carmel, October – December 2014. H05: Carmelite Reform and Renewal in the 16th Century. 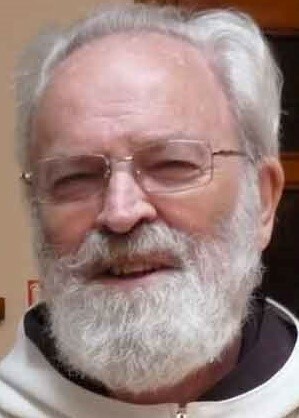 Doctoral Degree in Theology (PhD), 2003-2007, St Patrick’s College, Maynooth, Co Kildare. Master’s Degree in Theology (MTh), 2001-2003, St Patrick’s College, Maynooth, Co Kildare. Baccalaureate in Theology & Arts (BATh), 1998-2001, St Patrick’s College, Maynooth, Co Kildare. Forthcoming “God (Titles and Epithets) Christianity” The Encyclopedia of the Bible and Its Reception, De Gruyter, 2014. Forthcoming “Biblical Literacy: The Irish Situation,” Ways of Knowing, T&T Clark, September 2014. “Christian Blogging” Treasures of Irish Christianity 2, Veritas, 2013. “Comparative Theology and the Flood Narrative,” Opening Heaven’s Floodgates, Gorgias Press, 2013. “The Divine Designations in Biblical Texts: Towards a Hermeneutical Model,” Text, Theology, and Trowel: Recent Research into the Hebrew Bible, Scranton, PA: Scranton Univ Press, 2010. “The Influence of Egyptian Throne Names on Isaiah 9:5: A Reassessment in Light of the Divine Designations in the Book of Isaiah,” A Land Like Your Own, Eugene, OR: Wipf & Stock, 2010. “Rethinking Irish Catholic Identity,” Studying Faith, Practicing Peace, Irish Peace Centres, 2010. Saints and Spiritualities Explored: Elizabeth of the Trinity. (The Faith Companion February 2017). S12: St Elizabeth of the Trinity: transformation and the mystic tradition. Rev Fr. 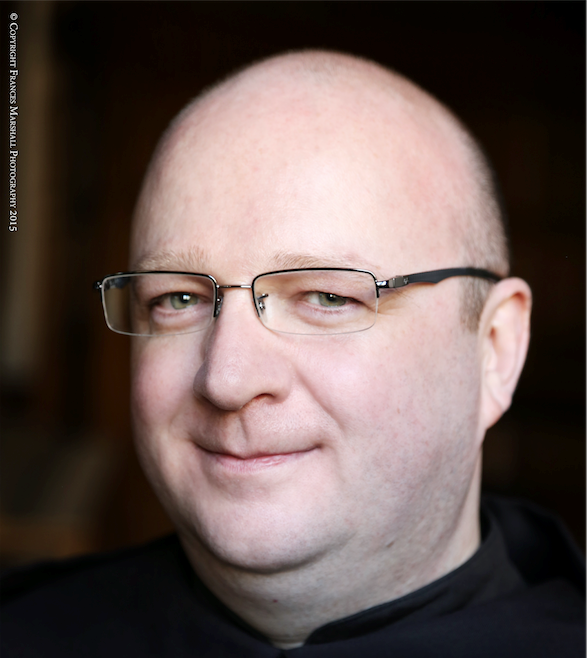 Paul Connell is a module author with the Carmelite Institute of Britain and Ireland: Academic Qualifications: Recent Publications: CIBI Modules: Rev Fr. 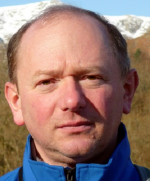 Paul Connell is module author of: H10: Church History: Early and Medieval Period. H11: Church History: Protestant and Modern Period. M.A. (Oxon. 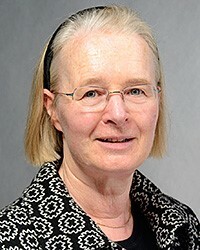 ), S.T.L., Ph.D. is a member of the Institutum Carmelitanum in Rome and was editor of its journal “Carmelus” from 1993-2000. 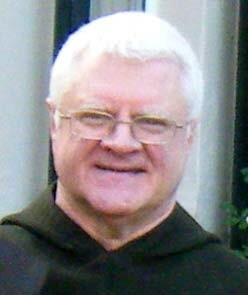 He has written numerous articles on early Carmelite history and spirituality. 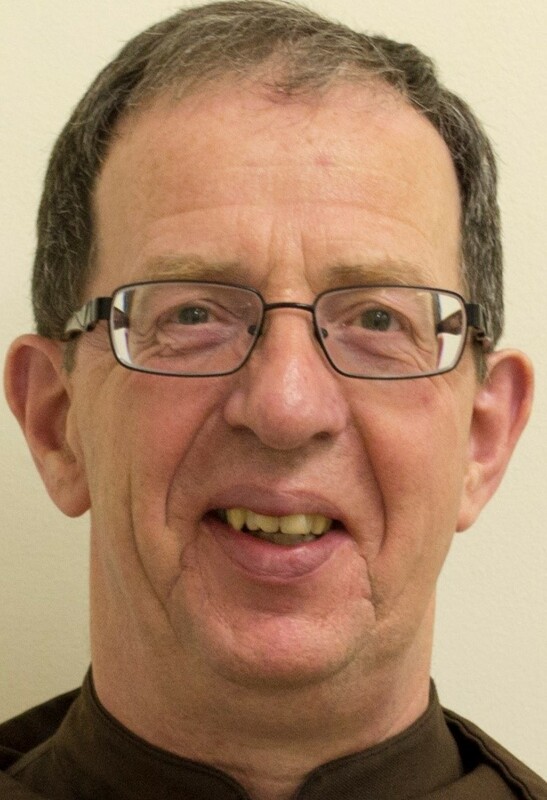 Now retired, Richard is based at the Carmelite house in London. Provincial of the British Province of Carmelites from 1990 to 1993. H01: Carmel: Development of the Tradition. Holds a license in Church History. Holds a Licence in Spirituality. Lectured at the Milltown Institute of Theology and Philosophy. 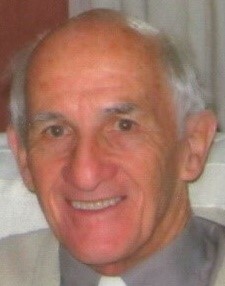 He has lectured in Spirituality and Church History in Ireland, Australia, Nigeria and Singapore. General Editor of “The Living Flame” series. Occasional contributor to “The Furrow”. DC01: Who are the Carmelites? Editor for a number of CIBI scripture modules. 2001: Bachelor of Divinity, The Milltown Institute of Theology and Philosophy, Dublin. 1996: Course in pastoral care, part-time, University College Stavanger (now University of Stavanger). 1995-1996: Courses in medical nursing, University College Stavanger (now University of Stavanger). 1994: Examen philosophicum, one semester, University College Stavanger (now University of Stavanger). Monograph: Isaiah and Biblical Prophecy. Dublin: The Priory Institute, 2008. “Creation in Collision? Isaiah 40-48 and Zoroastrianism, Babylonian Religion and Genesis 1.” Journal of Hebrew Scriptures 13 (2013):1-20, DOI 10.5508/jhs.2013.v13.a8. “Barnehagen: Kultur for læring om religioner og livssyn?” In Torill Vist and Marit Alvestad (ed.s), Læringskulturer i barnehagen: Flerfaglige forskningsperspektiver, Oslo: Cappelen Damm Akademisk, 2012, pp. 239-260. T01: An Introduction to the New Testament. T07: An Introduction to the Old Testament. T11: The Synoptic Gospels / Matthew. T13: The Rebirth of God’s People: The Acts of the Apostles. STD (Doctorate in Theology, Gregorian University, Rome) 1989. The Godless Delusion: Dawkins and the Limits of Human Sight. 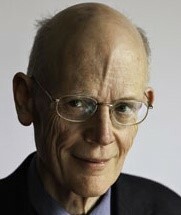 Oxford and Bern: Peter Lang, 2009. From Misery to Hope: Encountering God in the Abyss of Suffering. 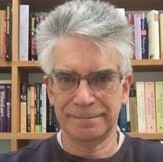 Oxford and Bern: Peter Lang, 2010. T16: The Mystery of the Triune God, Father, Son and Holy Spirit. Authors of the modules for the Initial Formation Programme of the Carmelite Third Order (Secular). 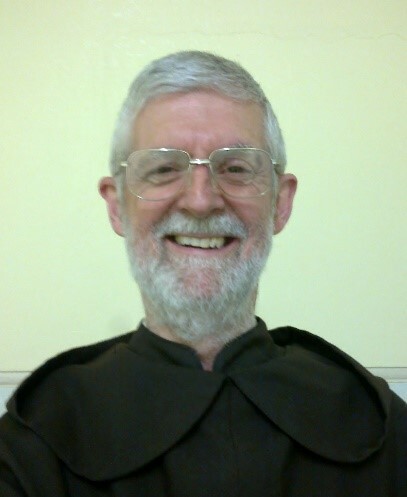 Third Order National Secretary, for the British Province of the Carmelites. DC21: Bl Lawrence of the Resurrection. 1994: Post Grad in Social Work from Glasgow University. 1981; BD in Miltown Institute, Dublin. DC12: Formation in Carmel (with Heather Ward, Mary of St John OCD and Joseph Mothersill O.Carm. 2016 Heythrop College, University of London, M.Phil. S10: St Thérèse of the Child Jesus as Revealed in her Letters (with Josephine O’Connell OCD). S11: St Teresa of Avila, Doctor of the Church (with Josephine O’Connell OCD). DC34: Some Themes from the Writings of St Teresa of Avila. DC38: Women of Carmel: (with Myra O’Regan, Thérèse Mathieson OCD, Thérèse-Marie OCD and Jennifer Moorcroft). Michael’s early education was at the Carmelite’s Terenure College, Dublin. On completion of his secondary education he joined the Carmelite Order at their house in Kinsale. Following ordination he was appointed to Terenure College as a teacher and later to the Carmelite school at Moath. 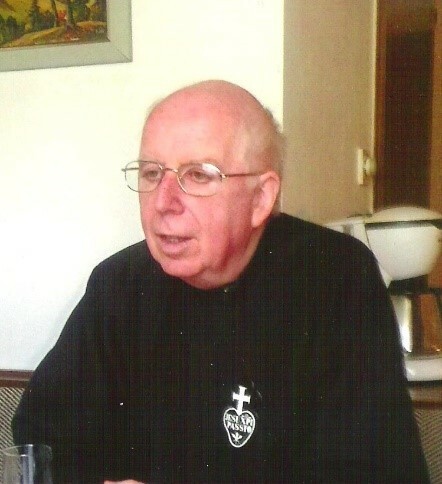 In 1970 he was assigned to the Carmelite mission in Zimbabwe, where he served for 42 years. DC33: The History of Carmel in Zimbabwe. 1975-1985: Gregorian University in Rome, Italy. Obtained degrees in Philosophy and Theology, a licentiate in Moral Theology and a doctorate in Moral Theology. Mysterious God. Blackrock: Columba Press, 2014. Authority in the Roman Catholic Church. Aldershot: Ashgate, 2002. With Philomena Cullen and Gerard Mannion, Catholic Social Justice: Theological and Practical Explorations. London: Continuum, 2007. With Julie Clague and Gerard Mannion, Moral Theology for the Twenty-first Century. London: T&T Clark, 2008. T05: An Introduction to Moral Theology. 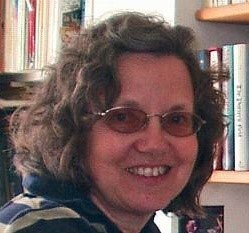 Ruth Burrows – Essential Writings. Modern Spiritual Masters Series. Maryknoll, New York: Orbis Books (forthcoming). The Gospel Mysticism of Ruth Burrows: Going to God with Empty Hands. Foreword by Fr Ronald Rolheiser. Washington, D.C.: ICS Publications (forthcoming). 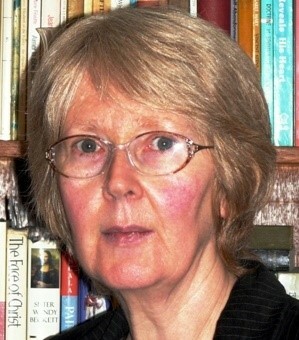 ‘Insights into the Mystery of the Trinity from Ruth Burrows.’ The Way (forthcoming). 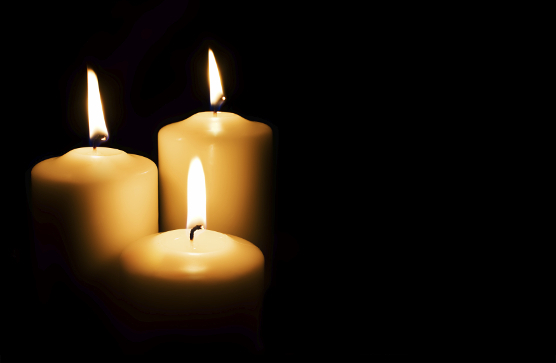 ‘Imbuing All With Love.’ Carmelite Digest 23:4 (Winter 2008): 22-34. ‘Eavesdropping On A Heavenly Dialogue.’ Carmelite Digest 23:2 (Summer 2008): 33-49. Best known as the editor of the bi-monthly Dominican Publications periodal, Spirituality. Former Provincial of the Dominicans Community in Ireland. He is well-known as a retreat giver and preacher. 2017:Certificate in Spirituality ( Contemplative Life). 2013: Diploma in Carmelite Studies, CIBI accredited by Milltown Institute, Dublin. 1981: NCEA Diploma in Development Studies. NCEA Development Studies Centre, Kimmage Manor, Dublin. 1996: Registered Midwife, National Maternity Hospital – School of Nursing, Dublin. 1975: Registered General Nurse, Jervis Street School of Nursing, Dublin. 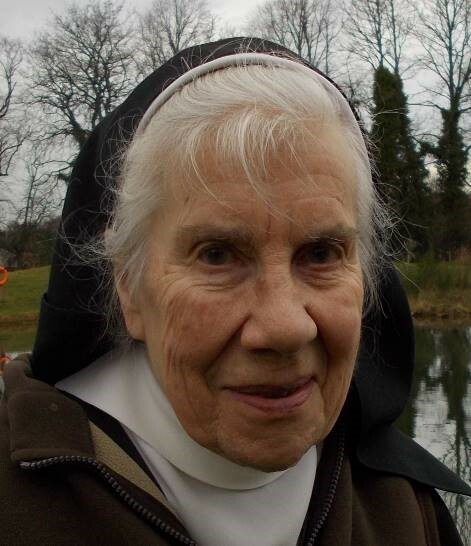 Sylvia Lucas is a Third Order Carmelite who had dedicated her life to the education of those with special needs. She had been involved with the Nurturing School Project in Hackney, London, and in Zambia, Africa. and she has published two books on this subject as well as a number of studies in Emotional and Behavioural Difficulties: A Peer Revieweed Journal. 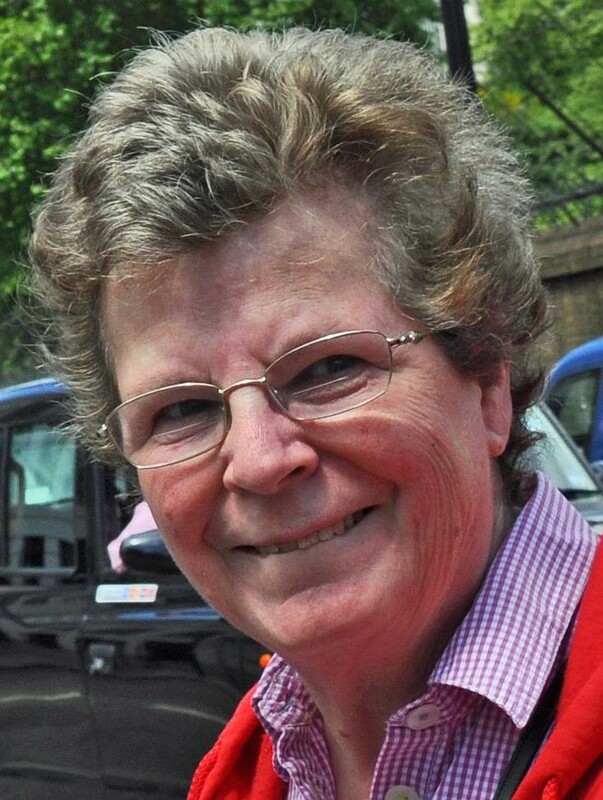 Having gained a Diploma in Pastoral Theology in 1991, her long experience in the field of education had led to her involvement in various national committees and, up until 2008, she taught a postgraduate course at the Institute of Education at the University of London. 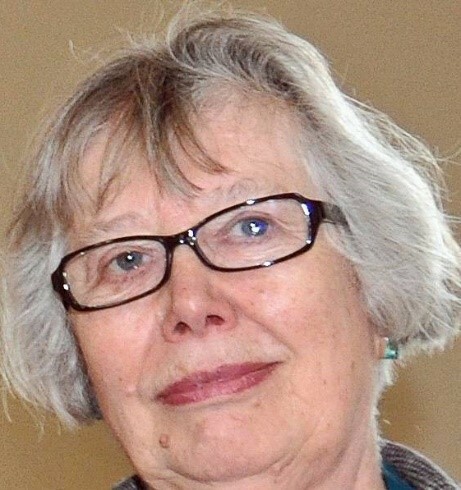 Her long experience in the field of education had led to her involvement in various national committees and, up until 2008, she taught a postgraduate course at the Institute of Education at the University of London. She has published two books on this subject as well as a number of studies in Emotional and Behavioural Difficulties: A Peer Revieweed Journal. Having gained a Diploma in Pastoral Theology in 1991. DC13: Carmel and Inter-faith Dialogue. He taught courses in Biblical spirituality and scripture in Mexico, Latin America, and Europe. 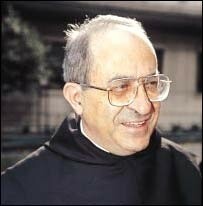 1979-1985: He was Provincial of the Mexican Carmelite Province. 1971: He received his Licentiate in Sacred Scripture in Rome at the Pontifical Biblical Institute. 1988: His doctorate in Biblical Theology at the Pontificia Universidad Javeriana in Bogotá. He has published several books of spirituality and religious life. He professed as a Discalced Carmelite in Mexico on October 29, 1955. En el invierno eclesial: Luces y sombras de una experiencia. DC23: The OCD Charism in the 20th Century (translated by Oonagh Twomey). DC37: Spirituality and Social Justice-Isidore Bokanja. 2015; Diploma in Carmelite Studies. The Carmelite Institute of Britain and Ireland. Accredited by the Milltown Institute. 1980: Entered Carmel, Benoni, South Africa. DC38: Women of Carmel, Teresa, Thérèse, Edith and Elizabeth (with Sheila Grimwood, Thérèse Mathieson OCD, Thérése-Marie OCD and Myra O’Regan). 2015-16: Studying in Madrid: Spanish language. 1995-96: University of Dublin : Trinity College : The Irish School of Ecumenics: M.Phil. in Ecumenics. 1990-95; Milltown Institute Philosophy and Theology Dublin: B.D. in Theology. 1985-88: B.A. (English and History) The Open University. Doctorate in Sacred Scripture from the Biblical Institute, Rome. Diploma in Sacred Scripture from the École Biblique de Jérusalem. Captive Flames: A Biblical Reading of the Carmelite Saints (Dublin: Veritas, 2005). Prayer – The Heart of the Gospels (Dublin: Columba Press, 2008). Infinite Horizons: Scripture through Carmelite Eyes (Oxford: Teresian Press, 2013). H04: The Carmelite Charism: Exploring Biblical Roots. 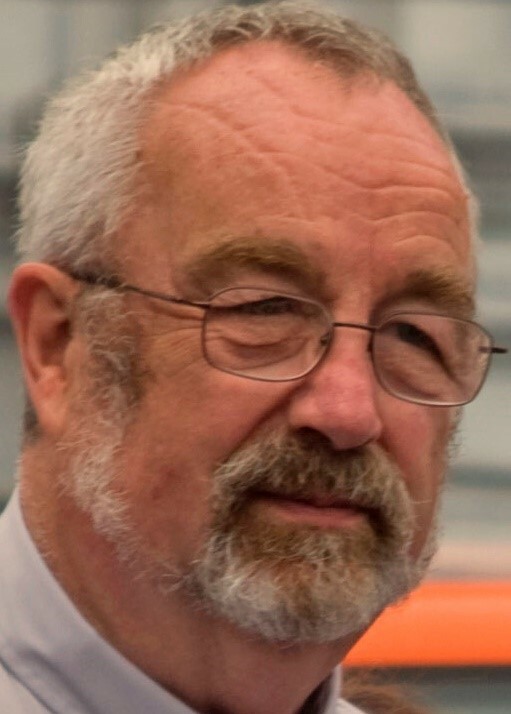 A former Prior Provincial of the English Province of Carmelites, is well-known as an author and broadcaster on radio and television. His At the Fountain of Elijah: The Carmelite Tradition, published in 1999, is one of his best-known books. 2016: A Stumbling Pilgrim Guided by Indirections, a biography of Father Malachy Lynch (1899-1972), the remarkable Carmelite friar from Ireland who re-established the Order’s presence at Aylesford Priory in Kent. Julienne McLean practices as a psychologist, psychotherapist and Jungian analyst in north London, as well as being a spiritual director. 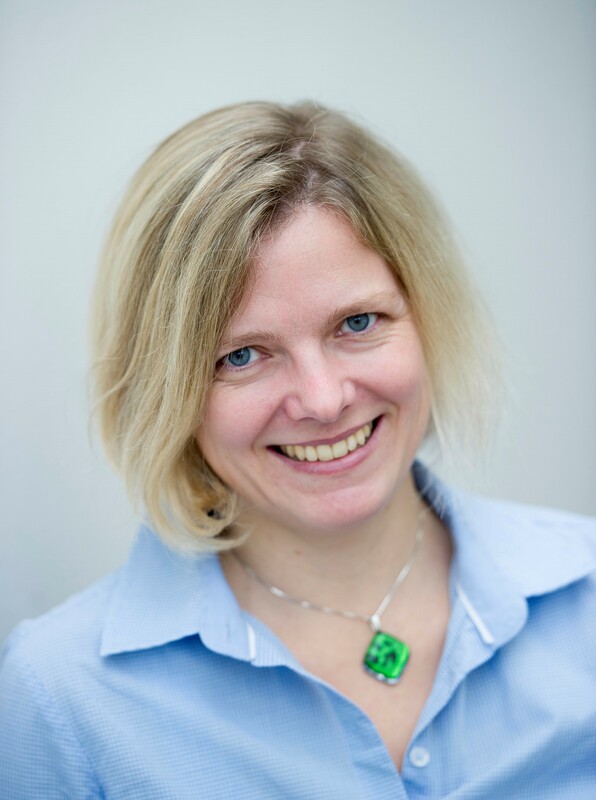 She has been in private practice for more than twenty years and was on the clinical team at the St Marylebone Healing and Counselling Centre in central London for fifteen years. 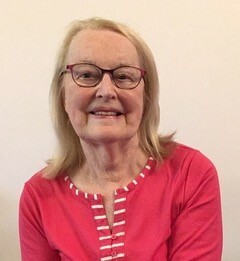 She has had a lifelong involvement in the Christian contemplative tradition, with a particular interest in the relationship between modern depth psychology and contemplative prayer. 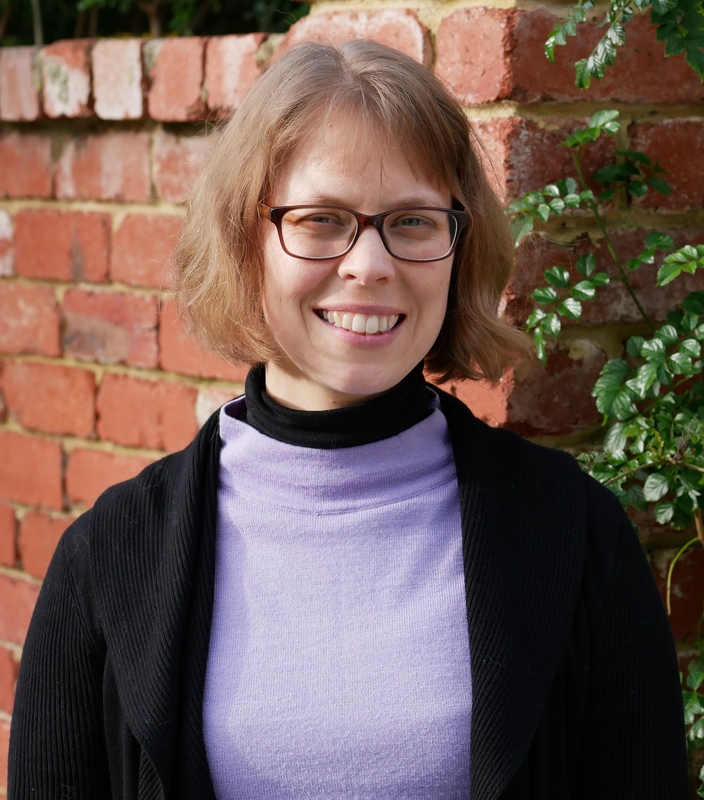 She teaches at St Mary’s University College, Strawberry Hill, London and Sarum College, Salisbury, where she is a Visiting Scholar in Christian Spirituality. 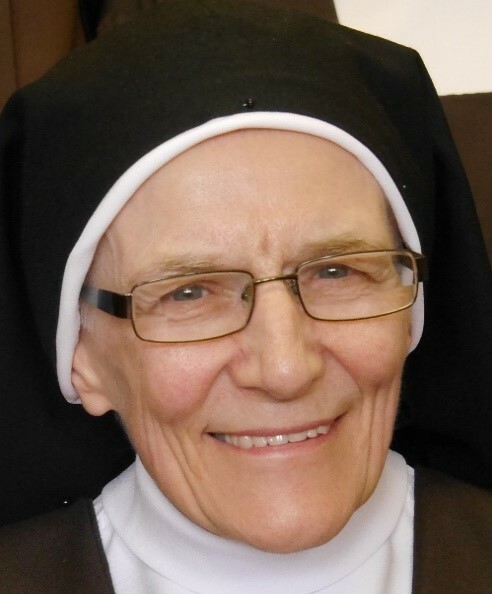 For many years, she has been teaching, running workshops, study groups and retreats in England, Scotland and Spain, on psychology and Carmelite Spirituality, particularly in relation to the lives and writings of the Carmelite saints, St Teresa of Avila and St John of the Cross. 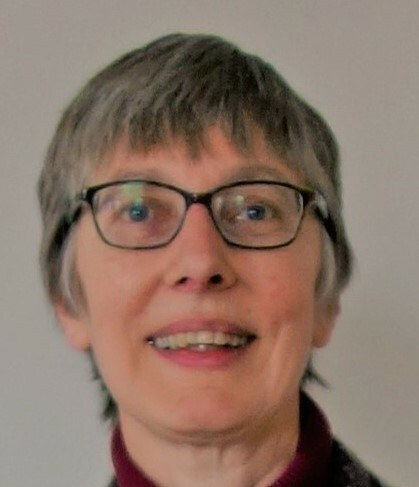 She facilitates a contemplative spirituality programme in north London (http://www.contemplativespirituality.org), which includes regular day retreats in London, and an annual 7- day prayer retreat on Holy Island, Scotland. 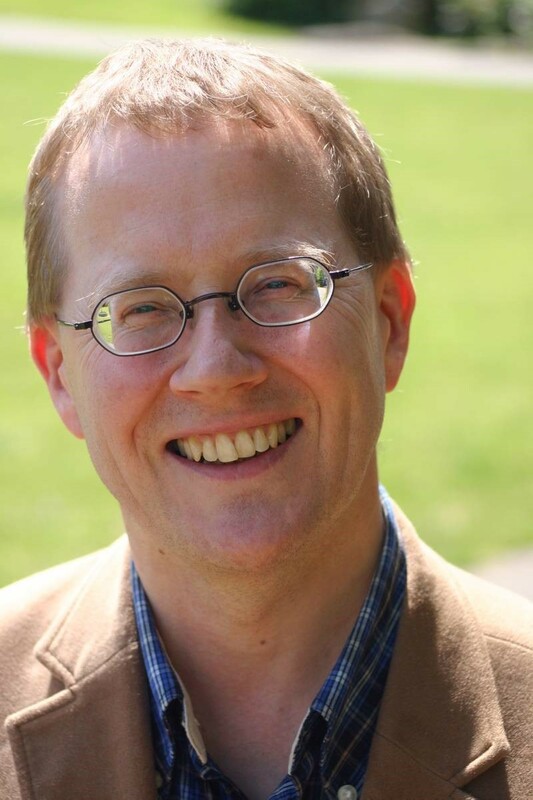 DC14: Psychology and Carmelite Spirituality (with Peter Tyler). 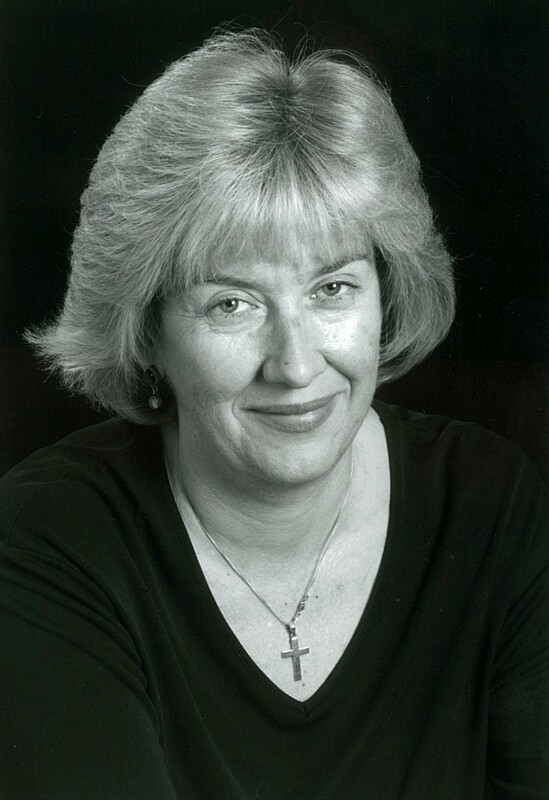 Dr. Elizabeth A. Mitchell completed her undergraduate studies in English Literature at the Franciscan University of Steubenville, in the United States of America, in 1997. Her Licentiate degree in Institutional Social Communications from the Pontifical University of the Holy Cross, Rome, in 2000. Her dissertation, Artist and Image: Artistic Creativity and Personal Formation in the Thought of Edith Stein, was published in 2003. 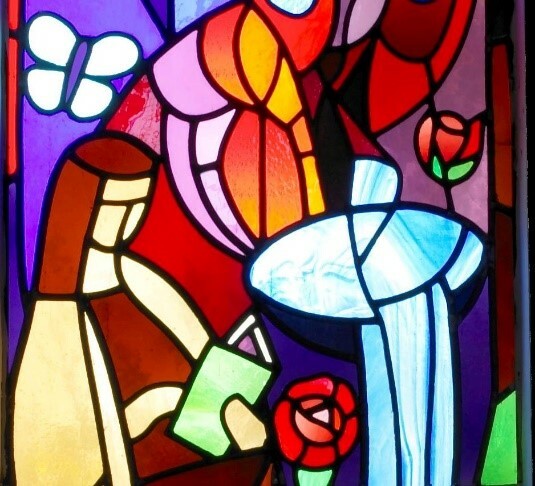 Artist and Image: Artistic Creativity and Personal Formation in the Thought of Edith Stein. Dissertationes: Series de communicatione sociali, 3. Rome: Edusc, 2003. “Catholic Education: On the Front Lines of Communicating the Faith. Professional Challenges and Eternal Rewards”, paper delivered at the Fifth Professional Seminar for Church Communications Offices, held in Rome, April 27-29, 2006. 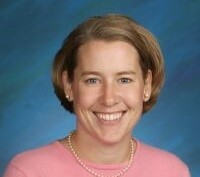 Jennifer Moorcroft is a catechist for the Rite of Christian Initiation of Adults. A Third Order Carmelite and a member of hser local Carmelite Spirituality Group. 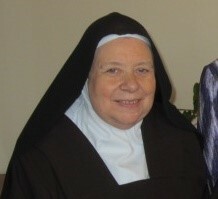 Author of God Is All Joy: Life of St. Teresa of the Andes (2009). A biography of Blessed Elizabeth of the Trinity O.C.D. and Elizabeth of the Trinity – The Great Carmelite Saint (2017). DC28: St Teresa of the Andes. DC38: Women of Carmel, Teresa, Thérèse, Edith Stein and Elizabeth of the Trinity, (with Sheila Grimwood, Myra O’Regan, Thérèse Mathieson OCD and Thérèse-Marie OCD). Studied Theology at the Milltown Institute, Dublin. Studied Philosophy at the Milltown Institute, Dublin. Studied Carmelite studies at the Washington Theological Institute. 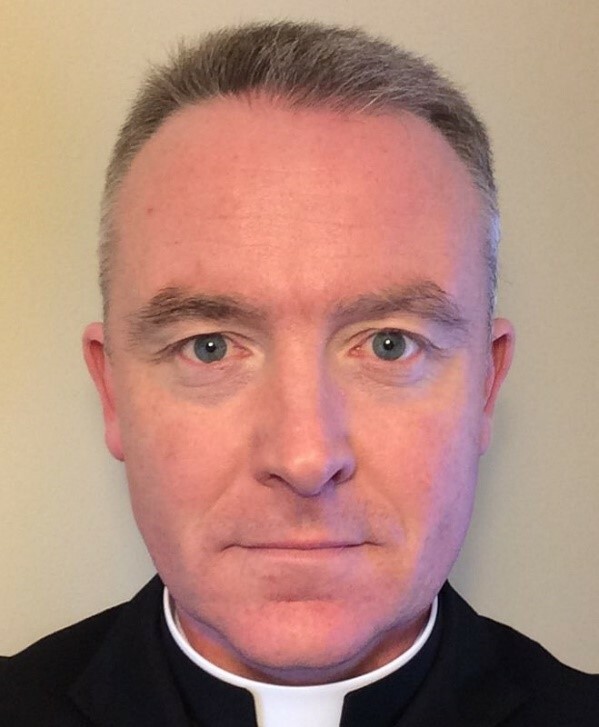 Provincial Delegate to Lay Carmel in Ireland. Contributed articles to Sword magazine. DC02: The Rule of St Albert. Date: 1983; Award: Bacc. Phil. ; Subject: Philosophy; Awarding Body: The Milltown Institute of Theology and Philosophy, Dublin. Date: 1990: Award (level): Doctorate; Subject: Systematic Theology: Awarding Body: The Gregorian University, Rome. 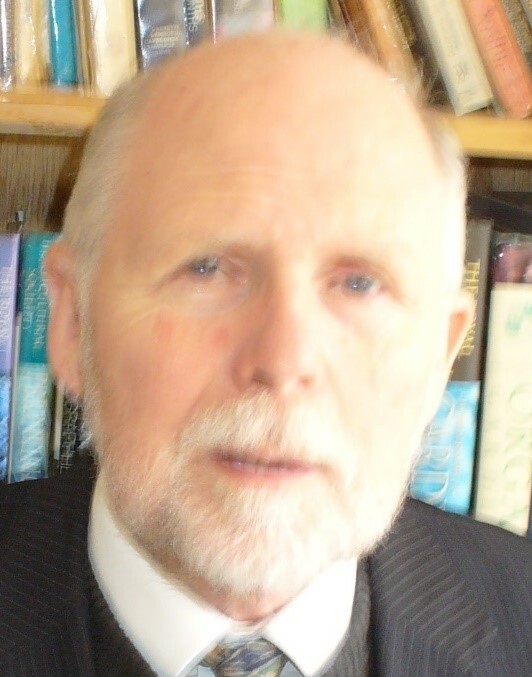 Date: 2009: Award (level): Doctor of Philosophy (PhD); Subject: Spirituality: Awarding Body: The National University of Ireland. 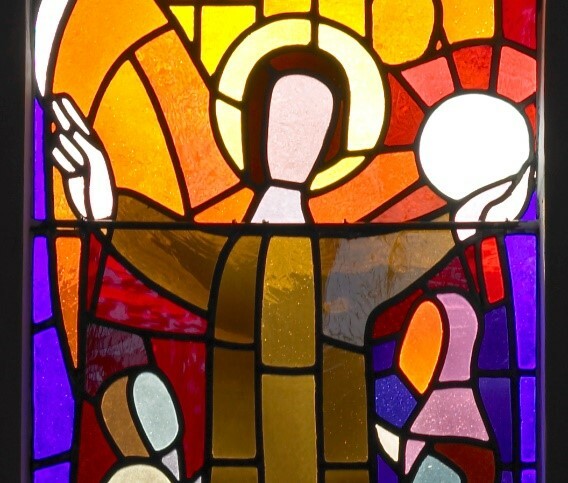 What We Believe: Understanding the Faith that We Share with the Saints. Dublin: Veritas, 2010. My Soul Shall Be Healed. The New Translation of the Missal. Dublin: Veritas, 2012. St Albert of Jerusalem and the Roots of Carmelite Spirituality. Institutum Carmelitanum textus et studia historica carmelitana, 34. Rome: Edizioni Carmelitane, 2012. “The Sources in the Earlier Latin Tradition of the References to Salvation in the Carmelite Rule” in The Mystery of Christ in the Fathers of the Church: Essays in Honour of D. Vincent Twomey SVD, edited by Janet E. Rutherford and David Woods (Dublin: Four Courts Press, 2012) pp. 179-191. “Nourishment for the Human Spirit,” Milltown Studies 69 (2012) 1-35. MTh05: Reading St Edit Stein. MTh08: The Carmelite Claim to an Elijan Succession. T02: The Sacramental Basis of Christian Living. T04: The People of God. T10: Understanding the Charism of Consecrated Life. H02: The Origins of the Carmelite Family. H06: The Historical Founders of the Carmelites. H07: The History of Female Contemplative Life and Recent Developments. S09: St Albert of Jerusalem. DC35: Female Contemplative Life and Recent Developments. DC40: St Albert of Jersusalem. Dc42: Who Founded the Carmelites? DC43: The Charism of Consecrated Life. 2011: Edge Hill University, AMBDA Qualification. 2011: Middlesex University, National Award for SEN Coordinators . 2009: Liverpool International Language Academy, Cambridge CELTA. 2005-7: Maryvale Institute Birmingham, MA Pastoral and Educational Studies (Distinct). 1996: Mill Hill Institute, Certificate in Counselling. 1986: Middlesex Polytechnic, L.R.A.M. Speech and Drama (Teacher) (Distinct). 1984-6: Middlesex Polytechnic, Diploma in Drama and Oral Skills (Merit). 1983-5 : Arundel & Brighton Youth Service , Advanced Youth Leader’s Training Certificate. 1980-1: St Mary’s Strawberry Hill, Twickenham , P.G.C.E. (Distinction). Catholic Teachers’ Certificate. 1979-80: Istituto Sacro Cuore, Turin, Italy, Certificate in Catechetics, Mariology, Psychology, Theology (Italian accreditation). 2017 second edition with ICS publications. 2009: Always Believe in Love, elected Writings of Elizabeth of the Trinity. New City Press first edition. Compiled and introduced by Marian Murphy. DC10: Living in God’s Presence. DC24: St Elizabeth of the Trinity. MA in Christian Spirituality, Heythrop College, University of London. Dissertation St Teresa of Avila. 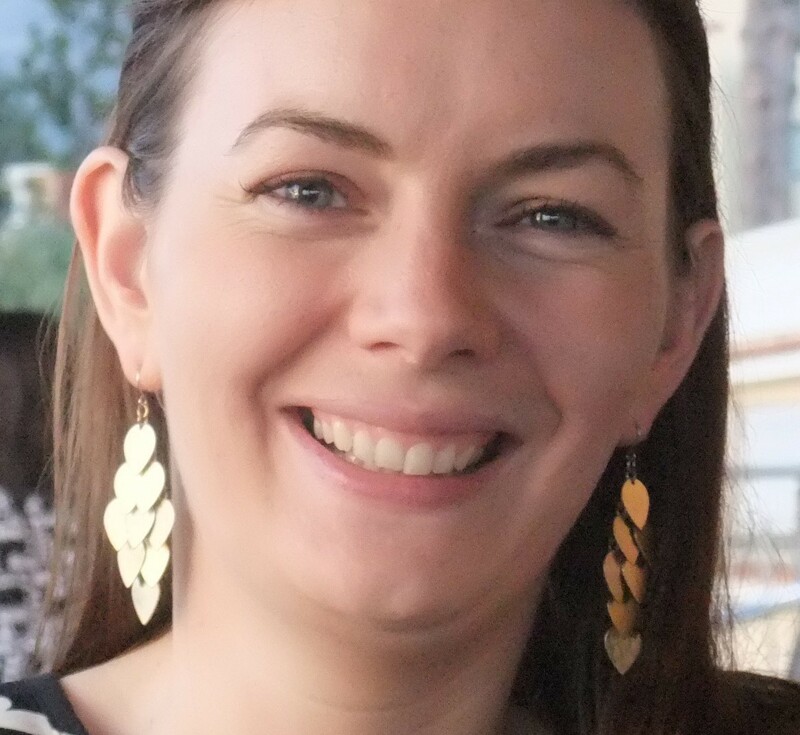 DC07: The Carmelite School of Spirituality: Teresian Perspective (with Heather Ward). 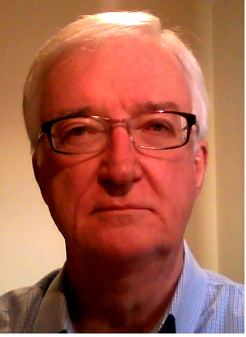 Simon Nolan O.Carm is a module author for the Carmelite Institute of Britain and Ireland. 2015: The Soul and its Operations in the Quaestiones quodlibetales of Gerard of Bologna (d. 1317). Simon Nolan (2015) The Soul and its Operations in the Quaestiones quodlibetales of Gerard of Bologna (d. 1317). Pontifical Gregorian University, Rome: Thesis. Simon Nolan (2013) ‘John Baconthorpe on Soul, Body and Extension’. MAYNOOTH PHILOSOPHICAL PAPERS, 7 . Simon Nolan (2010) ”The Philosopher Investigates: An Introduction to Wittgenstein’s Philosophical Investigations”. Yearbook of the Irish Philosophical Society, 2010. Simon Nolan (2008) ‘Teaching and Learning in the Summa theologiae of Gerard of Bologna’. MAYNOOTH PHILOSOPHICAL PAPERS, 5 :35-41. Simon Nolan (1997) ”Moses Maimonides and the Eternity of the World Debate”. MILLTOWN STUDIES, 40. DC30: The Carmelite Family in the 14th Century. 1958-1963: Notre Dame Secondary Commercial School, Liverpool (closed 1965). 1952-1958: St. Patrick’s Primary School, Toxteth, Liverpool. St. Teresa of Avila: her Life and Teaching (Dysart Carmel Booklet) 24 pages, 2014. Saints of Carmel (Dysart Carmel Booklet) 28 pages, 2011. Mary in My Life: Reflections based on the Encyclical Letter “Redemptoris Mater” of Pope John Paul II (Liverpool Carmel Booklet) 24 pages, 1987. S10: St Thérèse of the Child Jesus as Revealed in her letters (with Sheila Grimwood). S11: St Teresa of Avila, Doctor of Prayer (with Sheila Grimwood). 1983: Doctorate Systematic Theology, Gregorian University, Rome. 1963: BD Theology, Milltown Institute, Dublin. 1959: MA English, University College, Dublin. 1958: BA English, University College, Dublin. Ecclesia: A Theological Encyclopedia of the Church (Collegeville: The Liturgical Press – Glazier, 1996). Pp. xxii + 520. 28×22 cm. ISBN 0-8146-5832-6. Spanish tr. 2001. Love in the Heart of the Church: The Mission of Thérèse of Lisieux]. Dublin: Veritas, 1997. Pp. 256. 21 x 14 cm. ISBN 1- 85390-39- 4. Italian tr. 2001. With J. Groden, six volumes of Assemblies and resources for schools : McCrimmons, from 2001. Prayer: Insights from St Thérèse of Lisieux (Dublin: Veritas, 2001). Worship, Prayer and Ritual. Into the Classroom: Religious Education in the Leaving Certificate. Dublin: Veritas, 2004. Pp. 218, 21x14cm. ISBN 1-85390-776-6. MTh06: Carmelite Marian Mystics (with Sanny Bruijns). H03: Figures of Inspiration: Mary and Elijah. S01: St Teresa of Avila. DC04: Mary in the Carmelite Tradition. 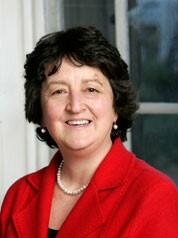 President of the Association of British Carmels. 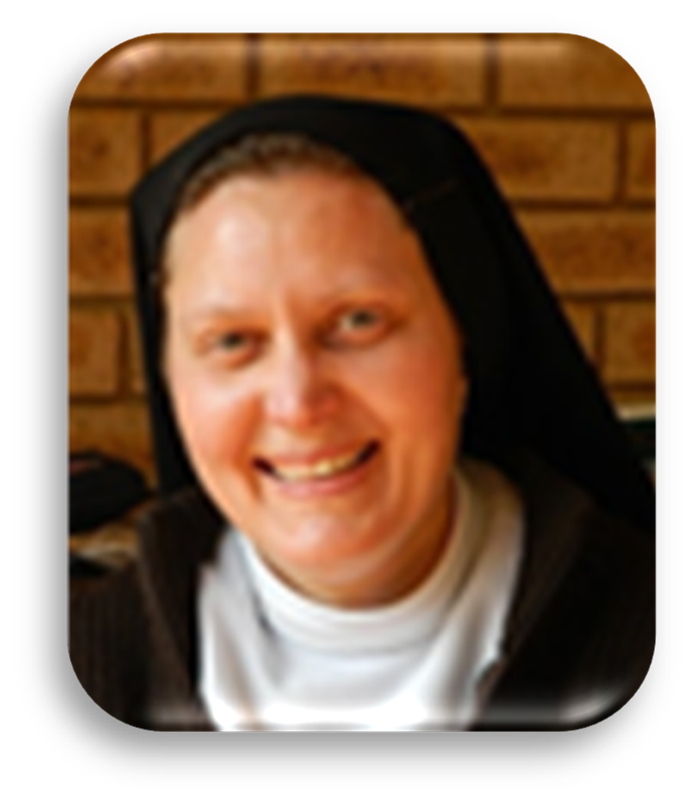 1985-1994, 1997-2003,2009-2015: Prioress of Monastery. DC09: Prayer in the Carmelite Tradition (with Mary St Philip OCD). DC09: Prayer in the Carmelite Tradition (with Mary St Joseph OCD). 2013: Diploma in Spirituality (Carmelite Studies), Carmelite Institute of Britain and Ireland, accredited by the Milltown Institute of Philosophy and Theology. 1971-74: Lincoln Theological College. Attended lectures on Old Testament; New Testament; Doctrine; Liturgy and Worship; Pastoral Studies; Church History; Documents of Vatican II; Occasional Lectures on a wide range of subjects. St. Thérèse of Lisieux (Hampton Carmel Booklet) 32 Pages, 2009. St. Teresa of the Andes (Hampton Carmel Booklet) 32 Pages,2010. 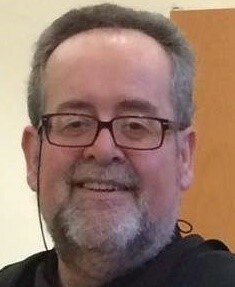 St John of the Cross CIBI Initial level module, DC 36, 2014. S08: Sts Louis and Zélie Martin. DC36: St John of the Cross. DC15: St Teresa of Avila, Doctor of the Church. Several articles in Mount Carmel Magazine. DC27 St Thérèse of Lisieux, Doctor of the Church. Regular contributor of homiletic material to Scripture in Church. T06: Biblical Theology of the Practice of Faith. 1989: PhD in Spiritual Theology, Gregorian University, Rome. (thesis title, God hears the Cry of the Poor. was published as a university publication). 1979: HDip in Education, Dublin University. DC03: Elijah in the Carmelite Tradition. DC39: Carmelite Commitment to Justice and Peace. A member of the Secular Order (Discalced). “Teresian Carmelite Laity: A Study in Spirituality and History”, Martello Press. DC32: The Third/Secular Orders from 1950. 1994-1998: Doctor of Philosophy (PhD); Historical Theology; The Christian Academy of Theology in Warsaw, Poland.Dissertation: Parishes of the Deanery of Lelow (the Diocese of Krakow) During the Time of the Reformation in the 16th Century. 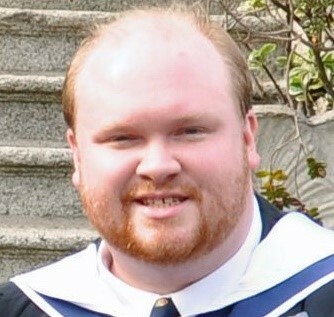 2006-2008; Licentiate in Sacred Theology (S.T.L) – First Class Honours; Spiritual Theology; Pontifical Athenaeum at the Milltown Institute of Philosophy and Theology in Dublin, Ireland. Dissertation: Spirituality of Dietrich Bonhoeffer’s Concept of Christianity without Religion. 2004-2006; Master of Arts in Spirituality – First Class Honours; The National University of Ireland – Milltown Institute of Philosophy and Theology in Dublin, Ireland. Dissertation: From the Ministry of War to the Ministry of Love and Compassion – Spirituality of Saint Raphael Kalinowski, OCD. 1987-1988; Master of Theology in the Church History – First Class Honours, The John Paul II Catholic University of Lublin, Poland. Dissertation: The History of the Parish in Zloty Potok from the 10th Century to the 18th Century. 2009; Diploma in Chaplaincy; Clinical Pastoral Education at St. Vincent University Hospital in Dublin, Ireland. (3 units of pastoral and spiritual care and chaplaincy training). 1983-1987; B.Th. : The John Paul II Catholic University of Lublin, Poland. Carmelite Institute of Britain and Ireland, Dublin; 2008 – 2015. Position and responsibilities: Member of the Academic and Executive Boards and Tutor. 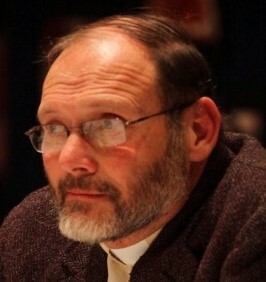 Author of academic articles on Theology and Church History. 1999 – 2000 Chairman of the Qualification Board for Teachers in the Province of Radom. The Psychological Portrait of the Reformer: Martin Luther in “The Way – A Review of Christian Spirituality Published by the British Jesuits”, October 2017. A Reform to Heal the Wounds of Reformation: Teresa of Avila and Church Unity in “Mount Carmel – A Review of the Carmelite Spiritual Life”, January – March 2016. DC29: Edith Stein: Spirituality of the Cross and the Holocaust Experience. Trinity College Dublin, Associate Professor, Statistics. 1969: BA Honours in Spanish and French, University of Nottingham. 1972: PhD, University of Nottingham. Jorge de Montemayor, Omelías sobre Miserere mei Deus, edited with an introduction and notes by Terence O’Reilly (Durham: University of Durham, 2000). Adrien Gambart’s Emblem Book. The Life of St Francis de Sales in Symbols, by Elisabeth Stopp, edited by Terence O’Reilly (Philadelphia: St Joseph’s University Press, 2006). Golden-Age Essays in Commemoration of A.A. Parker, edited by Terence O’Reilly and Jeremy Robbins, Bulletin of Spanish Studies 85.6 (September 2008). The Bible in the Literary Imagination of the Spanish Golden Age. Images and Texts from Columbus to Velázquez (Philadelphia: St Joseph’s University Press, 2010). Essays on Góngora’s Polifemo and Soledades, edited by Terence O’Reilly and Jeremy Robbins, Bulletin of Spanish Studies 90.1 (January 2013). MTh07: Reading St Teresa of Avila. DC26: The Carmelite Nuns and Sisters, Past and Present. 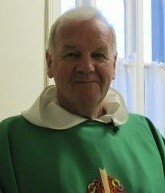 John Quigley OCDS is a module corrector for the Carmelite Institute of Britain and Ireland. 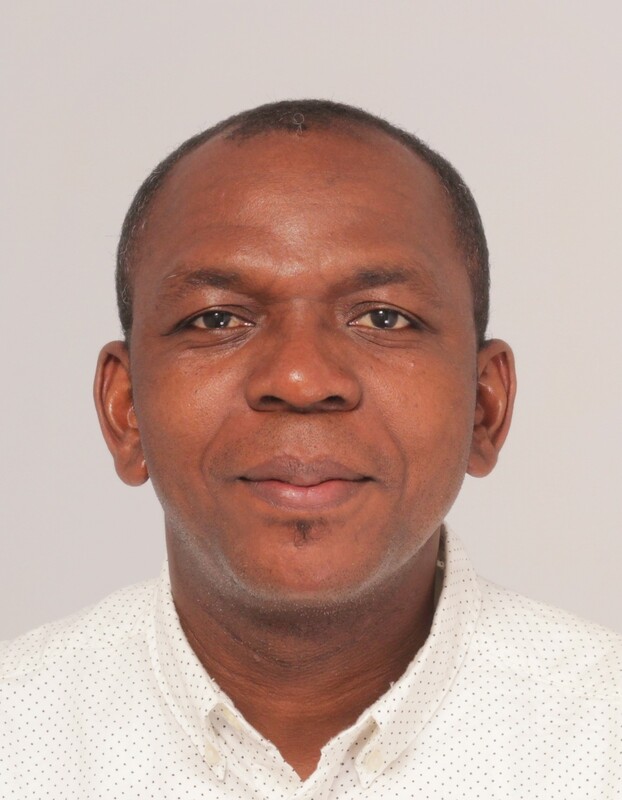 He is also a graduate of the Institute, having completed his Masters in Theology (Carmelite Studies). A chapter in With Wisdom Seeking God, ed. Una Agnew, Leuven: Peeters Press, 2008. MTh01: The History of Christian Spirituality. (with Richard Rohr), Praying With Therese of Lisieux (Companions for the Journey). Word Among Us Press, 2000. Everything is Grace: The Life and Way of Therese of Lisieux. Word Among Us Press, 2007. (with Benedict J. Groeschel), Praying Our Experiences: An Invitation to Open Our Lives to God. Word Among Us Press, 2008. Walking the Little Way of Therese of Lisieux: Discovering the Path of Love. Word Among Us Press, 2012. S04: St. Therese of Lisieux. 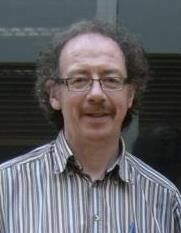 Former Dean of Theology at the Milltown Institute of Theology and Philosophy. DC08: Scripture in the Carmelite Tradition. 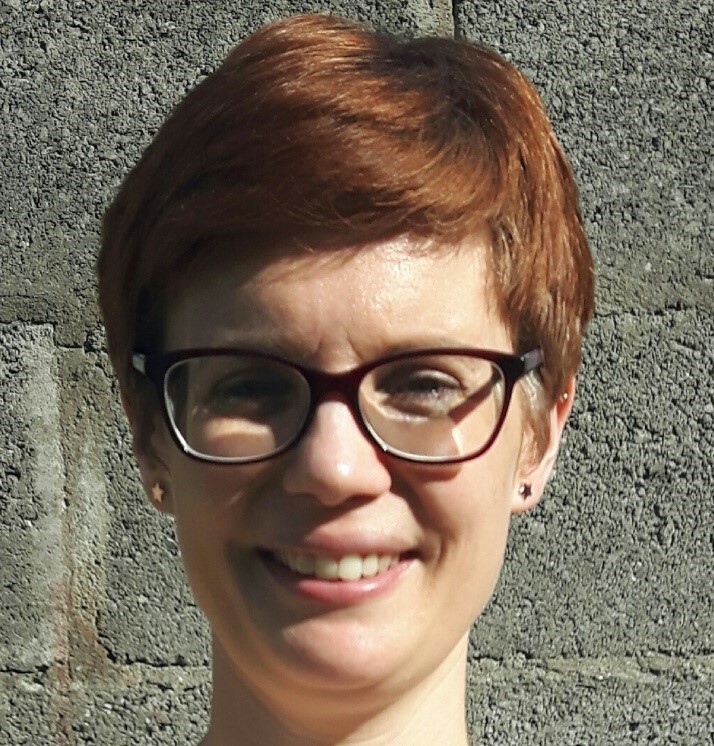 Having studied French and Spanish in UCD, Oonagh Twomey worked with the Legion of Mary in Wales and Ireland before becoming a Legion of Mary Envow in Spanish-speaking South America (Paraguay, Bolivia, Peru, Chile and Equador). She has been a member of the OCDS Community at Avila, in Dublin, for many years and, using her skills in Spanish translation. She has translated some of the material that is now available as part of the CIBI programmes. Translated module DC23: The OCD Charism in the 20th Century. 2005-2014: Doctor en Filosofía y Letras: Literatura Española del Siglo de Oro, Universidad de Sevilla. 1999. Título homologado con todos los derechos por el Ministerio de Educación Superior de España, el Estado Libre Asociado y Universidad de Puerto Rico, y el Ministerio de Educación Superior de Bélgica. 2008-2009: Maestría en Artes: Literatura Comparada, Universidad de Puerto Rico. 1992. 2010-2013: Bachillerato en Artes. Filología Española e Inglesa, College of the Holy Cross. Jan van Ruusbroec y Juan de la Cruz: la mística en diálogo, Editorial de Espiritualidad, Madrid 2007. Francisco de Yepes. Tejedor de buratos, místico, juglar del Señor, terciario carmelita, Rome: Edizioni Carmelitane, 2010. Onze-Lieve-Vrouw der Eenzaamheid van Antwerpen, Norbert Ubarri Miguel, Michielsen Tim, Beke Arnaud, Janssen Koenraad (eds. ), Antwerpen: Voor Kruis en Beeld vzw, 2010. CIBI Modules: MTh03: St John of the Cross. B.A. (Hons) First Class (English Studies) at the University of Nottingham, including the Cooper Prize (Exhibition) for the best results in Part One examinations. “Happy are those who are called to his Supper”, introducing boys to the nuptial dimension of Holy Communion, The Sower, December, 2000. “Earth’s crammed with Heaven: the sacramental imagination of George MacDonald”, Chesterton Review, April 2001. Christian Tradition in English Literature: Poetry, Plays & Short Prose, ed Paul Cavill, Heather Ward et al, Zondervan, 2007. SO2: St. John of the Cross, Carmelite, mystic and poet. S13: The Impact of God-a reading-guide to St. John of the Cross. 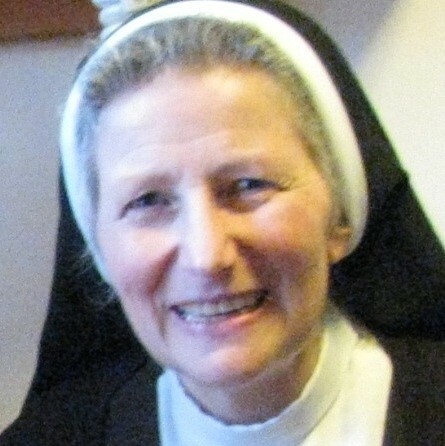 DC11: Madam Acarie (Blessed Mary of the Incarnation). DC20:Jacques de Jésus-Au Revoire les elfant. DC31: Carmel in Britain and Ireland, the beginning. DC32: The Third/Secular Orders from 1900 (with Monica O’Neill, Johan Bergstrom-Allen.